Call or text to arrange pickup. 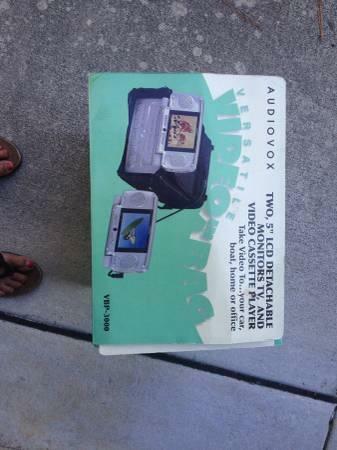 Magnavox DVDVHS player. This plays DVDs and VHS tapes, records, and you can dub your favorite VHS movie to make DVD out of it. In very good condition with original remote. BLACK SONY VHS VCR 4 HEAD HI-FI STEREO. MODEL SLV-778HF. PURCHASED NEW. VERY LIGHT USAGE. EXCELLENT CONDITION. REMOTE CAPABLE BUT NO REMOTE INCLUDED. RCA CABLES ARE INCLUDED. $20 EMAIL WITH ANY QUESTIONS.